Over 2,000 of the Information and Communications Technology (ICT) industry’s most influential players gathered in London for Huawei’s 9th annual Global Mobile Broadband Forum (MBBF). The event was a platform to showcase the rapid strides 5G has made in the past year: in addition to the outfield demonstration of the largest 5G commercial demo site in Europe, 10 operators and 36 vertical industry partners jointly displayed their industry-leading technologies. Representatives from the telecommunications sector, vertical industries and standards organizations witnessed firsthand innovative 5G applications across fields from the Internet of Things (IoT), Augmented and Virtual Reality (AR/VR), connected vehicles (V2X), and more. The displays we saw in London, and the overall 5G industry progress made in 2018, lead me to state with confidence that 5G is here. While we are still at an early stage for this cutting-edge technology, there is an undeniable acceleration of 5G adoption globally. Currently, 154 operators from 66 countries and regions have conducted 5G tests. According to GSMA figures, 110 markets in the world will deploy 5G facilities by 2025. We have moved from a stage where many of us questioned the technology’s added value, to a stage where everyone accepts the need to consider an early adoption of 5G, or at least strategic modernization in order to quickly adapt the technology’s services, at the risk of being left out of all the benefits these new networks will bring. As our Rotating Chairman Ken Hu eloquently said in London, “5G will start a technology revolution. It will bring new power to all ICT technologies, and trigger sweeping changes in business. There will be new opportunities the likes of which we've never seen.” 5G’s impact will be deep and wide-reaching, bringing new power to ICT and transforming industries and vertical sectors. 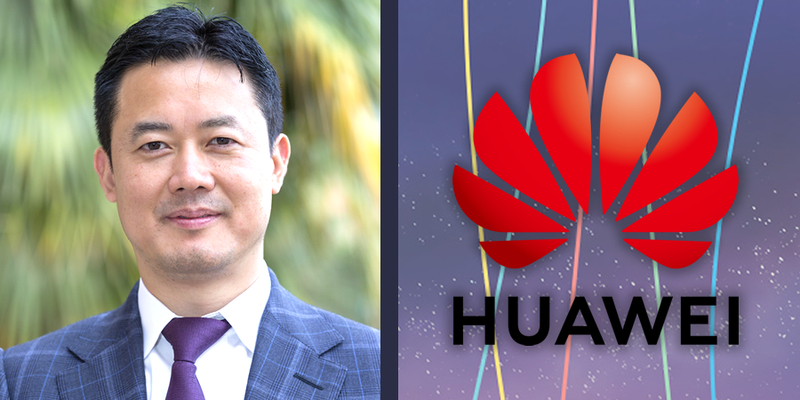 And we are not far from this new reality: Ken Hu announced that Huawei has shipped over 10,000 5G base stations in 2018, evidence that 5G progress is accelerating much faster than expected. The important milestones announced at MBBF reinforce this view. The Chief Technology Information Officer of BT Group announced the launch of a live 5G trial in Canary Wharf, to be followed by 16 other cities across the UK in 2019. Deutsche Telekom declared their ambition to provide 5G coverage to 99.3 percent of household by 2025. Huawei is proud to say we now have 23 commercial contracts worldwide, and over 50 operators globally have already deployed commercial 5G tests using our technology. The Middle East is also leading the way: over 7 countries and 14 operators in the region have launched 5G trials and field trials using our E2E 5G systems, effectively promoting the development of 5G in the region. In a groundbreaking global milestone, in the first half of 2018 we supported leading operators in the region to launch the world’s first 5G commercial network. At Huawei, we are passionate advocates of the great potential of 5G. This is why we offer a full E2E 5G portfolio ready to be deployed. We have launched the Huawei Single RAN Pro, designed to unleash powerful network capabilities, transform all services to “wireless first” and increase revenue growth and save OPEX through Artificial Intelligence (AI). And this year at MBBF, we truly felt our customers’ awareness and appreciation for the solutions we provide, and for the industry ecosystem we have built through collaboration with other leading players. We were honored by the recognition we received in London for all the efforts we have made in 5G. We were particularly touched by a statement from BT Group Chief Architect commenting that, “There is only one true 5G supplier right now and that is Huawei – the others need to catch up.” The Chief Technology Officer of Deutsche Telekom also highlighted the support we have given in driving the commercial 5G ecosystem and laying the foundation for 5G rollout in Germany. This comes in light of our longstanding collaboration, most recently when Deutsche Telekom deployed 5G NR clusters integrating our 64T64R Massive MIMO antennas into a live network in Berlin, which is now successfully up and running. There is still further progress to be made. 5G will drive continuous developments in cloud and AI, leading to innovative new use cases. We need to deeply integrate AI into mobile networks to deliver superior user experience, increase operating efficiency, and ultimately make autonomous driving mobile networks a reality. Autonomous driving is a prime example of the need for a digital ecosystem: it depends not on the innovation of a single product, but innovation across the system architecture and vertical industries. Our aim at Huawei is to continue to focus on establishing an open, collaborative and win-win ecosystem, through which we can help our partners meet customers’ needs through enhanced connectivity, and improve user experience across business scenarios. Our vision is to bring digital to every home, person, and organization for a fully connected and intelligent world. As we saw at MBBF, this world is not far off. As we move into 2019, we look forward to continuing to collaborate with our partners so that consumers, organizations, and nations can profit from the fruits of 5G.